Nigeria is “a new country emerging. And it’s time to showcase it.” This time, it will be an Ivy League showcase at Harvard University. One major focus of the weekend’s events will be the Nigerian film industry. Nollywood is the second largest movie industry in the world, after Bollywood. Nigeria? The most populous black nation in the world.Twenty percent of African-born blacks living in the United States are Nigerian. Nollywood is valued for more than just the entertainment it produces; the World Bank recently donated 20 million Dollars to the Nollywood industry to help create 100,000 jobs in Nigeria. A special presentation will be given by World Bank Specialist Chioma Nwagboso, on "World Bank’s vision for the potential of Nollywood to help improve Nigeria’s economy". Peace Anyiam Fiberisma, CEO of the African Movie Academy Awards, will discuss Nollywood's landmark successes, and its role in packaging Nigeria for cultural exportation. Mr. Omoyele Sowore,CEO and Editor of SaharaReporters and and Naija Boyz will present in our panel on the Role of Media in Shaping Nigeria's Future: Social and Political Aspects. Nollywood actress Nse Ikpe Etim, of the blockbuster film Reloaded will share her perspective as an actress in the film industry. Banky W., and MI will perform during gala and After Party events. Surprise guests include other leading film personalities from Nollywood who will discuss the role of Nollywood in Renewing the Promise of Nigeria. 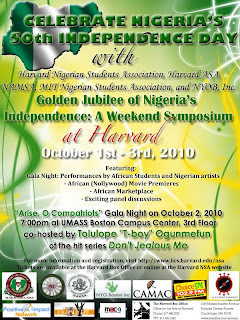 The weekend celebration at Harvard is entitled a “Golden Jubilee of Nigeria’s Independence: A Weekend Symposium. 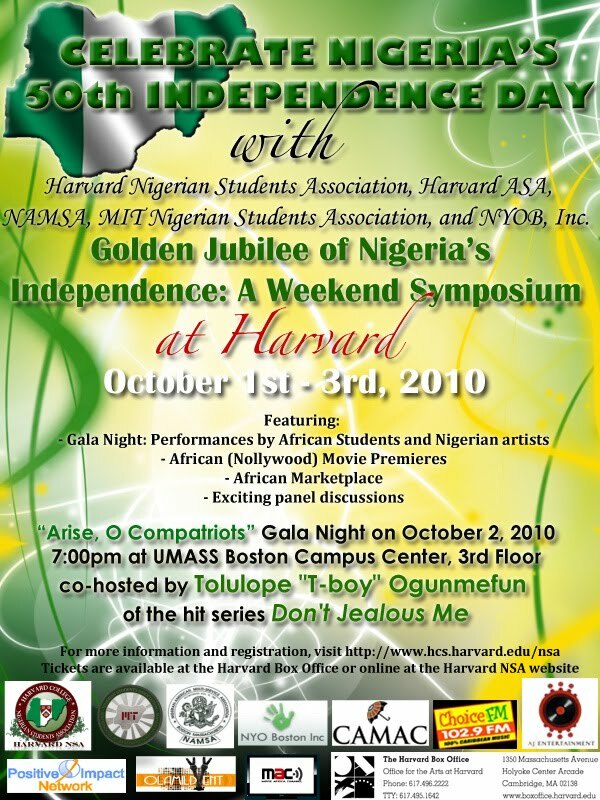 The event is being planned by Harvard University’s Nigerian Students Association in conjunction with MIT Nigerian Students Association, the Nigerian-American Association of Boston, and other Nigerian Community Associations in the Boston area. Events are scheduled to take place on Friday and Saturday , October 1-2. Through a number of panel discussions, the symposium will spotlight traditional Nigerian culture and values as well as the fusion of this tradition with American culture. The symposium will also celebrate unity across ethnic groups, empowerment, networking, as well as leadership in the areas of academics, business, career planning, arts, and entertainment. It will also celebrate themes of cultural confidence, cultural exploration, as well as cultural education. Panel topics include spotlights on successful entrepreneurs across generations, Nigeria’s Development as a Nation, Nigeria’s participation in the global marketplace, Nigerian professionals with career advice, and the impact and potential of Nollywood globally, among others. Among exciting installments to be featured during that weekend are the Nigerian Gala night with Nigerian food, and performances by Nigerian artists, as well as African Movie (Nollywood) Film screenings with opportunities for conversation with directors of the films. Participants will enjoy opportunities to network with Harvard's distinguished Nigerian professors and lecturers, as well as outstanding panelists. The aim of the event is to celebrate positive images of Nigeria and the remarkable accomplishments of leading Nigerians. See attached flyer and schedule for more details. 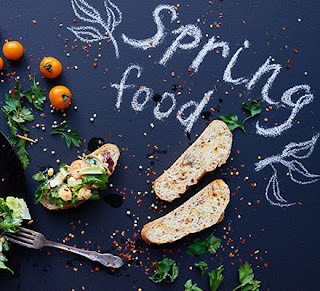 All events held on Friday and Saturday morning and afternoon are free of charge. Tickets for both the gala night and afterparty are available at the Harvard NSA website (www.hcs.harvard.edu/nsa) at the Harvard Box Office, or from an NSA or HASA board member. 2) Peace Anyiam Fiberesima, Founder of African Movie Academy Awards will address the history, landmarks, and successes of the Nollywood in Africa and abroad. The Africa Movie Academy Awards, AMAA is an offshoot of the African Film Academy. The Academy founded on the best film tradition, is geared towards research, training and propagating film making in Africa. Behind it are film producers, directors, designers, writers, critics and scholars who share in the belief of a renaissant African film. Peace will discuss the history and accomplishments of Nollywood so far; what filmmakers and producers like herself have done in the last two decades to ensure a growing Nollywood industry, and why the world should pay attention as we march further into the 21st century. 3) Nse Ikpe Etim - Nollywood Actress. Nse is a rising actress with rapidly increasing popularity among fans of Nollywood, especially now with the hugely successful award winning film, Reloaded, as well as Guilty Pleasures under her belt. She was nominated at the African Movie Academy awards for her role as Best Leading Actress in the film Reloaded, a feat, as it was her debut film. She can be described as a silent tsunami, who appears docile until you come in contact with her amazing talent as an actor. She has the ability to immerse herself into her role and bring the character's essence to life! She is considered one of Nollywood's vixens and an absolute joy to work with by many of her colleagues. Off set, Nse is engaged in charity work close to her heart and has lent her voice to causes against civil unrest, poverty and malaria. She will share her experiences as an actress in the Nollywood industry. 5) Tunde Kelani : Director and Producer, Mainframe Productions. Nigeria’s most celebrated producer and director, Kelani has directed more than 20 subtitled, Yoruba language films which preserve and provide a window into the richness that is the Yoruba culture of South West Nigeria. Yoruba culture has had far reaching influence in Haiti, Cuba, Brazil, Trinidad & Tobago, and a number of other Caribbean Islands. Tunde Kelani will discuss his vision of the importance of propagating culture, and maintaining local Nigerian languages in films produced in Nigeria's Film industry. 6) Dr. Edward Valla, - Intelligence Analyst , FBI in Boston .Edward J. Valla holds a PhD in political science from the University of Connecticut. He has worked within the FBI for 10 years and served as a military intelligence officer in the U.S. Army Reserve for 20 years, retiring at the rank of major. Dr. Valla will discuss copyright and piracy challenges faced by Nollywood in the American market, and provisions within the American law enforcement that available to help Nollywood filmmakers and producers combat the problems. 7) Shaibu Husseini – Journalist, Guardian, Nigeria. Shaibu is a performing artist and then a journalist. He acts and dances professionally and has reported on arts and movies for Nigeria's flagship newspaper "The Guardian" published daily in Lagos, Nigeria, since 1998. In his role at the Guaurdian, Shaibu has interviewed over 250 of the filmmakers in his weekly column He is a film critic, and besides keeping the film culture alive and keeping the history of Nollywood alive on the news pages, he delved headlong into film criticism because he believes that Nollywood has reached a stage where the growing movie audiences need to begin to desire to see and think about films critically rather than for simply entertainment sake alone. Shaibu also currently heads African Movie Academy Awards (AMAA) screening panel, and sits as member of the jury that selects the films to be recognized as the best of the African Movie Industry by the AMAAs. Vote or Quench is a non-partisan organization geared towards empowering Nigeria’s youth at home and in the Diaspora through voter awareness and encouraging their participation in the demand for democracy. www.voteorquench.org is a socio-political media site that offers Nigerians and fellow advocates of democracy all over the world the opportunity to express their views on voting, electoral reforms and democracy as a whole in Nigeria. Nosarieme Garrick holds a BA in Communications and a BS in French from St. John's University, NY. Upon graduation, she spent a year teaching English in France. She's spent the last three years as the founder of “No One's Done It Right” organizing fundraising soirees in New York City for under funded NGOs, while working as a layout artist at Thomson Reuters, and freelance writing covering the African pop culture/politics beat. She is the founder of Vote or Quench. Kemdi Ebi graduated from American University in 2006 with a BS in Marketing. 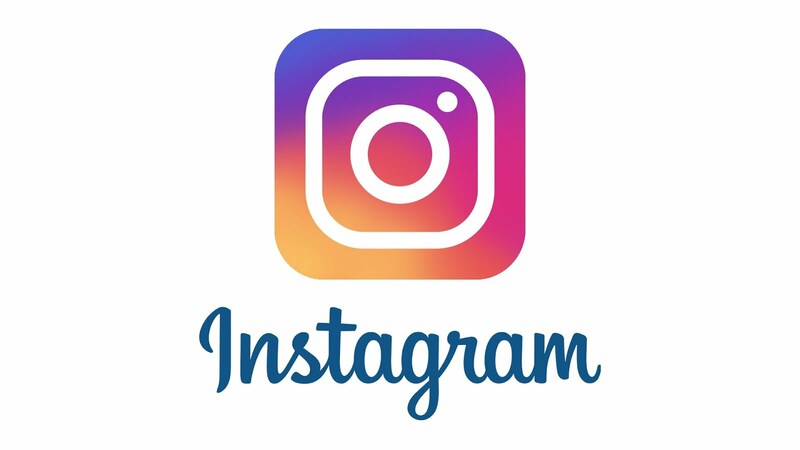 He currently works with PRWeb, a leading public relations software company, doing public relations and brand consulting for small business and mid-size organizations in varying industries. After spending the previous 3+ years of his professional experience working in Revenue Strategy & Sales Operations Management at The Corporate Executive Board, his entrepreneurial zest led him to chase his life long aspiration to pursue brand management. Kemdi is a co-founder of Vote or Quench. Nosa Garrick, founder of Vote or Quench, approached Kemdi and expressed the idea of the initiative simply saying, “Let’s re-brand Nigeria, Vote or Quench” and the rest was history. Gabriel-Angelo Ajayi graduated from American University in 2006 with a BS in Finance. He has spent the last four years at Bank of America financing commercial real estate projects, and has pursued various entrepreneurial interests. He also holds a Master's in Finance and is a co-founder of Vote or Quench. He works with the founder of Vote or Quench to manage the organizations strategic vision and implementation of that vision by ensuring organizational methods are aligned with organizational goals. Born in Lagos, Nigeria, the Naija Boyz are two brothers that have become popular amongst the African Diaspora with their parodies of popular music/videos aka AfricanRemixes on YouTube. Olatoye (O’) and Tejumola (Teju) Komolafe, launched their YouTube channel in October '07 with their rendition of Soulja Boy’s break out hit, “Crank Dat Soulja Boy’. Their version, ‘Crank Dat Naija Boy’, garnered over 1,000,000 views in its first six weeks online. Due to the success of ‘Crank Dat Naija Boy’, and demands from their fans, the Naija Boyz went on to produce AfricanRemix videos for Chris Brown’s ‘Kiss Kiss’, Lil Wayne’s ‘Lollipop’ and Beyonce’s ‘Single Ladies’. To date these four videos have over 16M views on YouTube and in March '09, the Boyz created an official Naija Boyz Facebook page to keep their fans informed of their upcoming projects. Their latest project is a remix/video of the late DaGrin's hit single 'Pon Pon Pon'. DaGrin was a very popular Nigerian rapper until his untimely death from a car accident earlier this year. Next up for the Naija Boyz will be an AfricanRemix of Michael Jackson’s classic ‘Thriller’ music video. The short film entitled ‘African Thriller’ will be released later this year. The Komolafes will discuss entrepreneurship, breaking into the Nigerian music market in Nigeria, and how internet vehicles such as Youtube can be utilized to promote Nigerian music. Dr. Achebe completed undergraduate studies in natural sciences, history and philosophy at Bard College; received an MPH from the Harvard School of Public Health, his MD at Dartmouth Medical School and an MBA degree at Yale University's School of Management . He has held the position of Medical Director at Whittier Street health center and Assistant Professor at Tufts University School of Medicine. After several years of work at various Boston health centers, Dr Achebe now sees "the struggle against inequalities in health and health care for all vulnerable, underserved Americans, as the next stage of the Civil Rights movement;" and has dedicated his life's work to helping to solve the conundrum of health care inequity in America's health care system. Wole Soboyejo was educated at King's College London, and The University of Cambridge before coming to the the United States in 1988 to become a research scientist at The McDonnell Douglas Research Labs in St. Louis, MO. In 1992, he worked briefly as a Principal Research Engineer at the Edison Welding Institute before joining the engineering faculty of The Ohio State University in Columbus, OH. From 1997 to 1998, he was a Visiting Professor in the departments of mechanical engineering and materials science and engineering at MIT. Dr. Soboyejo moved to Princeton University in 1999 as a Professor of Mechanical and Aerospace Engineering. He is also the Director of the U.S./Africa Materials Institute, and the Director of the Undergraduate Research Program at The Princeton Institute of Science and Technology of Materials. His research focuses on experimental studies of biomaterials and the mechanical behavior of materials. Innocent Chukwuma, Lecturer Harvard Kennedy School. Innocent Chukwuma, William H. Bloomberg Visiting Lecturer in Public Management, is a leading human rights and good governance advocate in Africa and the founder/ executive Director of CLEEN Foundation, a civil society group that promotes of public safety, security and accessible justice in West Africa. He also co-founded such groups as Transition Monitoring Group (TMG), a coalition of 250 civil society organizations that monitor elections and democratic development in Nigeria; African Policing Civilian Oversight Forum (APCOF), a network of state and non-state actors involved in promoting improved policing standards and accountability in Africa; and Altus, a global alliance of non-profit organizations and academic centres in five continents established to improve safety and justice from a multicultural perspective, among others. He has a Bachelor of Arts (BA) degree from the University of Nigeria, Nsukka and Master of Science (MSc) degree in Criminal Justice from the University of Leicester, United Kingdom. He has numerous publications on the issues to his credit. Francis Abiola Irele is from Nigeria, where he was Professor of French at the University of Ibadan, and served from 1977 to 1980, and from 1983 to 1987, as Head of the Department of Modern Languages. Previously, he has held positions at the University of Lagos, the University of Ghana, Legon, and the University of Ife (now Obafemi Awolowo University), Nigeria. From 1987 to 2003, he was Professor of African, French, and Comparative Literature at Ohio State University, and Editor for Research in African Literatures (1992 to 2003). He was Visiting Professor at the University of Dakar during the 1979-1980 academic year, and in 1999, he held an appointment as Overseas Fellow at Churchill College, University of Cambridge. Professor Irele also spent the Fall semester of the year 2001 as Andrew Mellon Visiting Professor at Tulane University, New Orleans. Only Banky W would be performing at the after party.